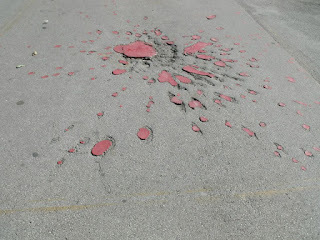 I visited Sarajevo last year. It's a lovely city with a relaxed atmosphere and charming, sociable, polite people, and its suburbs extend into the mountains that rise all around it. When you walk through its pedestrianised areas, where people seem to be constantly out for a stroll, meeting for coffee or a beer or a plate of cevapi (little beef sausages cooked over wood-fires and served inside soft, puffy pillows of delicious homemade flatbread) it's almost impossible to imagine that as recently as the 1990s Sarajevo was the world's most dangerous city. Officially, in fact, according to UN statistics, the worst place on earth in which to live. It's simply inconceivable that those mountains, bathed in the autumn sunshine, harboured snipers who shot half-starved civilians dead as they crossed the street to queue outside the city's brewery, the only source of safe drinking water left in Sarajevo, or that mortar shells were fired incessantly into the street, destroying homes, cafes, churches, mosques and lives. 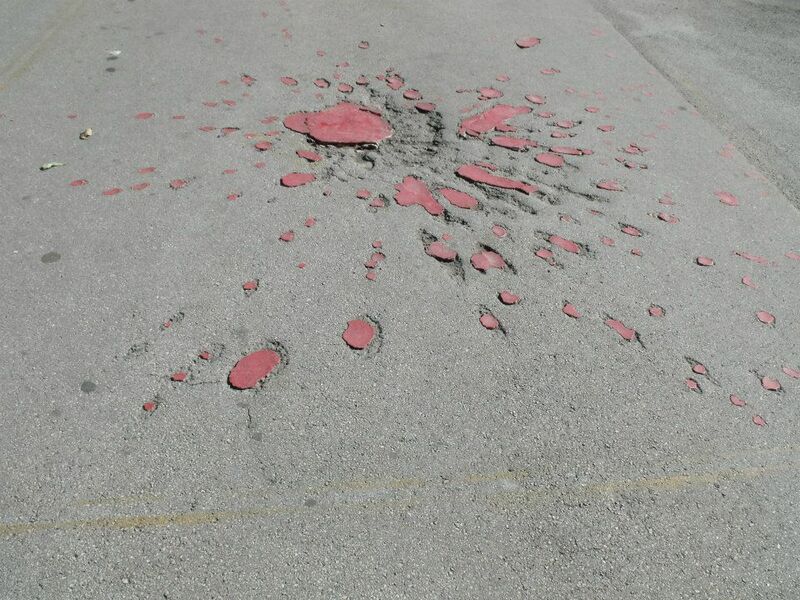 And then you look down, and you see the Sarajevo Roses in the pavements: pitted, scarred marks in the stone where mortars have exploded, filled in with scarlet resin to denote the deaths of civilian victims. The Cellist of Sarajevo is a short, tightly-written novel set during the long period in which Sarajevo was under siege during the Bosnian war. Following the stories of three principal characters, it presents us with vignettes of their lives in hellish conditions and their coping strategies, while the cellist of the title (loosely based on a real musician) plays 22 concerts in the street, heedless of Serbian snipers, to mark the deaths of 22 people who died in a bread queue outside his flat. There's Kenan, who risks his life collecting water on a daily basis not just for himself but for a cantankerous neighbour he doesn't even like; Dragan, alone in Sarajevo after his wife and son have fled as refugees; and Arrow, a young girl recruited as a counter-sniper from her university shooting team, who has been assigned to protect the cellist from 'the men in the hills'. At times a deeply affecting read - I cried into my pillow several times - The Cellist of Sarajevo is a perceptive, observant novel. Yes, it's about war, but it's also about identity and integrity. Arrow wonders if, by making her hate them for who they are as much as what they do, the Serbian snipers have won the war already. Dragan realises that being Sarajevan is something he can never abandon, and that Sarajevo is as much part of his identity as his very being. And yet he's no longer sure which Sarajevo is the real one: the relaxed, friendly city of his past, or the desolate war-zone of the present. Kenan, dreaming of a day when his daughter will be able to eat ice-cream with him in the street before going to the cinema 'with a boyfriend he isn't sure he likes' instead of being a virtual prisoner in their apartment, worries that he is a coward because he isn't fighting on the frontline with the Bosnian army, even as he risks his life simply to collect clean water. But deep down, he knows he will lose not only something of his humanity but also his Sarajevan-ness if he's forced to fight against people who were once his neighbours. 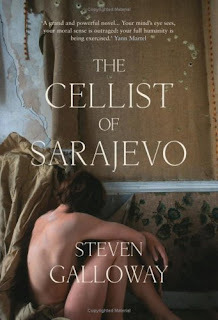 Steven Galloway's real skill in The Cellist of Sarajevo is depicting horrific events on a small scale and in clear, simple prose. There's not a speck of melodrama in the text, and it's never maudlin - and it's all the more powerful for that.